A Beginner's Guide to Marijuana Edibles - Medical Marijuana, Inc. Marijuana edibles are cannabis-infused food products that offer delayed, yet extended effects. Offering a tasty alternative to smoking or vaporizing medical marijuana, marijuana edibles are food and beverage products that have been infused with cannabis. Consumers who enjoy marijuana edibles typically prefer the extended and more intense effects that they offer compared to other types of marijuana products. An array of different types of marijuana edibles is available to purchase throughout the United States, where more than half of the states have legalized recreational or medical marijuana. It’s also common now for cannabis connoisseurs to make their own marijuana-infused cuisine at home. While marijuana edibles are popular among regular, long-term marijuana users, they’re also a favored choice among beginners who are being introduced to cannabis for the very first time. Marijuana edibles are food and beverages that contain marijuana and its active compounds. Marijuana flower can be infused into almost any type of food or drink. In general, marijuana edibles are produced to contain relatively high levels of tetrahydrocannabinol (THC), the psychoactive compound that causes a high. With marijuana legalization expanding and the demand for marijuana products surging over recent years, the market for marijuana edibles has surged. There are many types of different marijuana-infused foods and beverages now available to buy, and people continue to find new ways to infuse marijuana into their favorite recipes. How are Marijuana Edibles Made? In general, marijuana edibles are made using one of two processes. Marijuana food edibles like cookies or brownies are made with canna-butter or canna-oil. Canna-butter is unsalted butter that’s been blended with ground cannabis flower and water. The marijuana-infused butter can then be added in place of regular butter in any baking recipe. Canna-oil, which blends ground cannabis flower with any type of cooking oil, can also be used for baking dessert foods, but is generally used for blending into homemade sauces or salad dressing, sautéing veggies, or low temperature frying on the stove. To make marijuana-infused beverages, drops of cannabis extract in liquid form, or a tincture, are added to drinks. Marijuana tinctures, which allow those making edibles on their own at home to have greater control over the THC level in their edibles, can also be added to food products. How do the Effects of Marijuana Edibles Differ From Those of Other Cannabis Products? Compared to other marijuana consumption methods, the effects after ingesting marijuana edibles are delayed. While the effects of smoking or vaping marijuana are often felt within seconds or minutes of inhaling, the effects of edibles are usually not noticeable until 30 to 90 minutes after they are consumed. If you smoke or vape marijuana, the compounds are quickly absorbed by the alveoli in your lungs and reach your bloodstream almost immediately. Marijuana edibles have to be digested before the compounds can reach the bloodstream. How are Marijuana Edibles Different From CBD Edibles? Marijuana edibles differ from cannabidiol (CBD) edibles in that they contain a high concentration of THC and are used for their euphoric effects. CBD is a non-psychoactive compound found in cannabis. This means that CBD edibles, generally infused with CBD hemp oil, are completely non-psychoactive and are subsequently popular among those interested in the natural balancing properties of cannabinoids without the high. 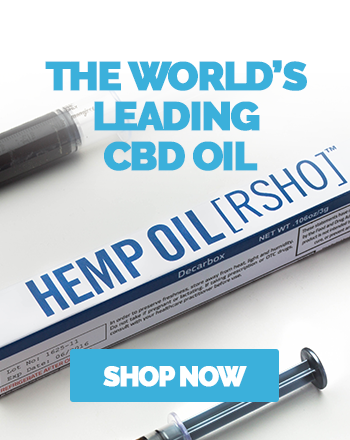 CBD hemp oil can be mixed into almost any prepared foods, and in general is incorporated as part of a healthy eating and wellness lifestyle. Marijuana edibles do offer some initial challenges for beginners who are not yet familiar with how their body will respond to the delayed and amplified effects of cannabis. Because of the delayed effects, it’s not uncommon for beginners to take a second serving and then discover that they’ve overdone it. It’s always a good ideal to consume marijuana edibles in a comfortable setting. Taking edibles at home or among a tight group of people you’re close to is best. If it’s your first time, consider having your partner or a friend there to help you keep track of how much you’ve consumed and to assist if you experience any discomfort. Marijuana edible products you purchase should have their THC concentration in mg clearly labeled. Keep in mind that edible products like marijuana-infused chocolate bars are designed for multiple servings. For example, if an edible packaging says it contains 100 mg of THC and it is divided into 10 single-serving pieces, each piece contains 10 mg of THC. While 10 mg THC is thought of as a typical serving, those new to marijuana edibles should begin by consuming a low amount of THC, between 2 and 5 mg. Wait at least two hours to gauge the effects before you consume another serving. This will help you find the perfect dose for you. As marijuana becomes more widely accepted and legal throughout the United States, people are experimenting with new marijuana recipes. Many are even growing their own weed at home and harvesting the plants’ flowers to infuse into foods and drinks. You can learn more about how to grow your own marijuana and produce a high volume of flowers by visiting our Cannabis 101 page.